In 1928, a miraculous discovery of a sub-species of human took place in the desert peninsula of Peru. Peruvian archeologist Julio Tello uncovered an intricate 3,000 year old graveyard of 300 skulls belonging to the Paracas people. There was something very unique about these remains; the skulls were 25% larger and 60% heavier than modern human skulls, and the differences don’t stop there. After DNA analysis of hair, skin, teeth, and fragments of cranial bones, scientists determined that the mitochondrial DNA, inherited from the mother, showed mutations that were unknown to any man or animal found on Earth. Scientists set out to discover the origins of these Natives, and ended up concluding that they weren’t actually Native Americans at all. In order to be 100% Native American, the Paracas people would have had to have a blood type O, which turned out to account for the lowest percentage of skulls found. Most skulls contained B and A-B blood types, with a mix of geographic heritage, making it hard for scientists to pinpoint their initial geographic origin. The skulls also had a different jaw structure. The mutations present in the samples along with the varying blood types lead researchers to conclude that they were facing a completely new ‘human-like being,’ possessing extremely different characteristics and DNA from Homo sapiens, Neanderthals or Denisovans. Deep in the Amazon rainforest, a small tribe of 35 individuals called “Tsapanawas” have been living in complete isolation from the outside world. During a hunt, the men of the tribe use arrows to kill their prey, however interestingly, they communicate with one another using whistles, and keep direction by snapping and placing branches along their route. If this tribe can communicate and hunt effectively using these methods, why couldn’t Bigfoot? Many Bigfoot eye-witnesses have reported hearing unusual whistles, tree knocks, and inaudible chatter throughout the night when their encounter takes place; some have even witnessed the creatures doing such things. When it comes to Bigfoot, many will argue that the hundreds of recorded eye-witness encounters are simply a man in a monkey suit running in front of a deliberately shaky camera. Fair enough, as most of the videos posted online are just that! However, upon further investigation and intricate analyzation of eye-witness videos, we can better determine the difference between Bigfoot fact and fiction. Here’s your formula to proving fact or fiction. If you’re not familiar with the Bigfoot Independence day video, it depicts a large creature carrying (what appears to be) a small Bigfoot child. At first glance, the creature in the video almost appears to be a CGI insert, simply created on a computer by a graphic designer. Similarly, the Patterson-Gimlin film has been just about the most controversial piece of footage that has ever existed. Most believe it to be an elaborate hoax, and many have admitted to being involved in its production. However, as scientists, we must not discredit any evidence, as it would be unscientific to assume footage is a hoax without dissecting and analyzing the small details within it. Unless we can prove the evidence to be false, we must not assume that it is. After all, upon further investigation of the Independence Day film and the Patterson-Gimlin film, citizen-scientists have gathered enough information and scientific backup to rule out human involvement in both sets of footage. In order to determine a video or photo’s credibility, it is important to understand the difference between the subjects in the footage, and Homo sapiens (us.) Throughout the dissection of hundreds of credible Bigfoot footprints, scientists and researchers have discovered the difference in anatomy between Homo sapiens and Bigfoot. This differentiation is what can help the average person determine the credibility of footage or photos within seconds. If you understand the difference in anatomy, you will be an evidence expert. Let’s talk Homo Sapien: A human has a longitudinal arch in their foot, which means the entire foot is incorporated into the lever which propels it off of the ground, and weight is pushed to the ball of the foot while walking. The bending happens at the toes, providing traction while moving. This is why we, as Homo Sapiens, only lift our foot slightly between strides. In the folklore of Nepal, the Yeti or Abominable Snowman is an ape-like being, taller than an average human, that is said to inhabit the Himalayan region of Nepal, Bhutan, and Tibet. However, how much truth is there to this ancient legend? Throughout the years, reports of hairy, bipedal creatures have haunted both explorers and native Sherpas. An 11th century Hindu poet and a European Ambassador traveling with Genghis Khan both referenced a hairy man in their journals. An older record from a Tibetan book of medicine describes a “Man-animal” who’s body represents a human, and origins represent a bear (perhaps referencing its hair-covered body.) The book reveals that the meat of this creature cures mental illness and its gallbladder heals jaundice. Interestingly enough, its appearance seems to represent the Chinese Gigantopithecus, an ape which lived about a million years ago and stood 10 feet tall. However, this creature went extinct after its population was speculated by scientists to have diminished by way of Homo Erectus, an ancestor of Homo Sapiens. It is believed that Homo Erectus hunted these apes, shrinking their population and causing extinction. Either way, if a large bipedal ape was roaming the tallest mountains in the world, it would have to be both highly intelligent and adaptive to a high-elevation climate. Not to mention, its ability to cover versatile land from snowy mountains to green valleys would need to be impeccable. If you think the Yeti is the gentle Gigantopithecus, the Sherpa people of Tibet will tell you otherwise. ThengBoche RinBoche, Head of the oldest sect of Tibetan Buddhism, speaks of a creature that visited the local village, climbed over a building, and paralyzed the man sleeping within the structure. Folklore such as this has instilled fear in the locals, and has inspired western films and media. Pang Diki, a local Sherpa, tells of a terrifying experience when she saw a yeti with her father. She described the head of the creature to be reddish-brown and conical, a description that interestingly matches that of a North American Bigfoot. However, Yeti reports often seem to be more aggressive than Bigfoot encounters. Lhakpa Dolma, another Sherpa of the village, describes a horrifying memory from her childhood. Dolma was herding cattle in the mountains when she heard a whistle. She quickly dismissed it, figuring it was her older brother, however moments later, a large creature grabbed her by the hair and clothing and threw her into a neighboring stream. She describes the creature killing 3 cows before walking off into the brush in a strange twisting motion. Perhaps the Yeti was defending its territory, or taking advantage of her youth to kill the cows and return for their meat after she ran off. Either way, these Yetis seem to demonstrate peculiar behavior for just a mountain ape, and similar behavior to the North American Bigfoot, believed to be a sub-species of human. If the Yeti is an ape, they must be extremely intelligent and also carnivorous, based on the many reports of mutilated livestock by the local farmers. The word Sasquatch is derived from the Coast Salish tribe’s language; specifically the word, Sasq’ets, meaning “wild man” or “hairy man.” J.W. Burns established the term “Sasquatch” in the 1930s when he acted as an Indian agent assigned to the Chehalis Band, otherwise known as the Sts’ailes First Nation. The Sts’ailes people claim a close bond with Sas’qets, and believe it has the ability to switch from the physical to the spiritual world. In 1884, an article regarding Sasquatch was published in Victoria’s British Colonist. It is known as the earliest documented evidence of a Sasquatch sighting. The article follows the quest of local village men chasing down and capturing a “half man, half beast” near Yale, British Columbia. When villagers found the creature near a set of railroad tracks, they nicknamed it “Jacko.” After waking the creature from unconsciousness, they chased it all the way to a set of bluffs above the town. The men were said to have corralled “Jacko” onto a rock shelf and rendered him unconscious with the toss of a rock. Two days later, the newspaper ran a letter to J.B. Good, former superintendent of the Lytton Indian Mission. Good wrote that similar stories of “wild men of the woods” had been told by indigenous groups that encountered such creatures while out hunting. During the summer of 2011, a British Columbia man shot a video showing a possible Sasquatch traveling swiftly up a mountain range in the Tantalus Mountains near Squamish. Sasquatch is reported to range between 6-9ft tall and is covered in thick black or brown hair. The first mention of the name, "Bigfoot" can be traced back to a construction worker named Jerry Crew who presented a plaster cast of a huge footprint he had found in Bluff Creek Valley to a local newspaper office in Northern California. He reported strange activity and huge tracks around the construction site; causing Crew and his buddies to nickname the creature, “Bigfoot.” On October 5, 1958, The Humbolt Times printed his story accompanied by a picture of him holding up the footprint cast, which spanned more than half the length of his upper body. The title of the article read: "New 'Sasquatch' found - it's called Bigfoot." Once published, the name took off and became the coined term for the creature. Sasquatch, or Bigfoot, is known to be a large, bipedal creature that roams the forests of North America and Canada. Thousands of sightings and hundreds of credible footprints have been enough evidence to raise public interest. However, there is one piece of evidence that still remains missing: a body. Perhaps the most important question that has surfaced among the Bigfoot community is why we don’t find them sleeping, eating, or socializing. Another question one may ask is why we don’t see them more often. The answer may lie in their living space. In a number of sightings, Bigfoots have been said to dwell in caves. One may argue that caves are not abundant enough to support an entire population of creatures. However, many underground metropolises existed thousands of years ago, supporting civilizations of over 20,000 individuals. Nature-made caves may be the wrong place to look. Perhaps, if Bigfoot is half-man, we should be on the search for something man-made. The Cappadocians of Turkey were a civilization from the Byzantine era that constructed a system of underground corridors that stretch 1.5 miles wide and run 371 feet deep within a mountainside. Within these dwellings, the Cappadocians kept livestock, supplies, and roughly 20,000 individuals. Although this civilization is among the largest underground cities, Cappadocia has a record of subterranean communities. In fact, there are over 200 underground civilizations that exist in this region of Turkey. Derinkuyu, is an 18-story underground city that also housed over 20,000 people. Over 1,000 years have passed since these corridors have been occupied, however their discovery can lead to clues about Bigfoot’s wareabouts. In order to determine if Bigfoots have the ability to construct such intricate tunnel systems, we must look to past accounts of their behavior. In order to recognize credible behavior, we must first turn to a credible piece of evidence. Bigfoot DNA evidence is far and few between, and most specimens are inconclusive or only suggestive. However, a story of an ape-woman named Zana seems to support the existence of the creature we’ve all been seeing for thousands of years: Bigfoot. Zana was a mysterious woman discovered in 1850 in the Ochamchir region of Georgia, Russia by local hunters. Zana’s appearance was extremely unusual and uncharacteristic of modern human. Her body was massive at 6’6”, she was covered in hair, and was slightly different in anatomy than the humans of the time. After being captured from the dense forest, she was brought to an isolated mountain village called T'khina, fifty miles from Sukhumi Russia. She became extremely violent, and exercised non-human strength and speed. These characteristics seem to reflect the many eye-witness reports of Bigfoot. Zana would outrun horses and effortlessly climb trees. Zana’s incredible strength, unmatchable speed, and physical appearance is exactly what witnesses report in North American Bigfoot sightings. Although science isn’t entirely sure what Bigfoot is, Zana’s existence may point to the answer, and this answer clues us in to Bigfoot’s behavior. In Indiana, a body farm serves as a research facility for determining criminal acts. The Blow Fly and its maggots are examined in order to determine the age of the decaying body, and often, the cause of death. Dr.Neil Haskell, one of the world’s leading entomologists recalls a record during the early 80’s indicating a pig of 50 pounds that was reduced to 18 pounds within 96 hours by a species of Blow flies, which inhabit most of the world. By using a mathematical proportion, and basing it off of an estimated 800 pound Bigfoot, this would mean that the entire body of a Bigfoot could decompose in 100 days with just the influence of the Blow fly. This calculation would not include the influence of vultures, who have been known to decompose a human body in just 5 hours. It would also leave out the influence of other insects, bugs, animals, and weather. Bigfoots habitat is the Pacific Northwestern U.S., an area with a large amount of rainfall. In a rainforest, the average time for a leaf to decompose is 6 weeks, as opposed to 7 years in a pine forest.​ The climate of Bigfoot’s habitat can leave huge clues as to why we haven’t found remains. Another important point to recall, is the possibility of Bigfoot burying their dead, as seen in many hominid groups’ behavior. Bigfoot sightings usually occur deep in the woods, mountains, and rural terrain. If such a creature is roaming the Pacific Northwest, its remains would lie in the deepest parts of the forest. Many animals have an instinct to hide when they are sick, hurt, or dying. If such a creature seeks cover, their remains may lie in a hidden location. The legend of Bigfoot will forever remain a mystery if a body is not discovered. However, because of the creatures’ illusiveness along with the nature of its habitat, scientists may want to consider the other evidence we have of the creature, such as footprints revealing anatomical features, hair samples, and the countless sightings by credible witnesses. The anatomy of the creature Bigfoot cannot physically be recreated by a human. Through digital analysis of the famous Patterson-Gimlin film, the creature’s size of 7’6.5” was determined. However, one does not need scientific skill to distinguish a Bigfoot from a human hoaxer. In fact, there is a 21 degree difference between Bigfoot’s stride and a human’s, which is often the line that draws the two apart. When a human walks, they lift their foot 52 degrees off of the ground, whereas a Bigfoot lifts theirs 73 degrees. Such an anatomical difference is why the Patterson-Gimlin film has been proven not to be a hoax. In the most credible photography and videography evidence of the creature walking, it represents the same image: a back leg that bends at an extremely abnormal angle, not possible for modern human anatomy to recreate. Such anatomy can be supported in the way the creature steps. Bigfoot is described as a hairy, bipedal ape-like man that roams the dense forests of the United States. They are often characterized by their sheer size, strong odor, large footprints, and striking resemblance to our own kind. How can we know that they exist? What clues has nature given us that many scientists choose to ignore? In this post, we will take a look at the evidence nature has provided us with, that signals a strong correlation between Bigfoot sightings and prime habitat conditions. Could Bigfoot be a Homo Sapien? ​Recent fossils discovered in Morocco are determined by scientists to be the oldest Homo Sapiens remains we have. This find is rewriting the story of evolution and pointing to the idea that Homo Sapiens evolved in multiple locations around Africa, instead of just one location (as previously thought before.) Philipp Gunz, a paleoanthropologist at the Max Planck Institute for Evolutionary Anthropology in Leipzig, Germany, and a co-author of two new studies on the fossils, published in the journal Nature, points out that our species did not evolve from a single area, but rather all across the African continent. Until this recent discovery, the oldest known fossils of Homo Sapien dated back 195,000 years. The new fossils are near 300,000 years old, indicating that we existed much longer than previously recorded. The recent fossil discovery revealed individuals who share very similar facial characteristics to our own. However, their brains differed in many ways. The closest living relatives to Homo Sapien are currently Chimpanzees and Bonobos. We share a common ancestor that lived over 6 million years ago. After we split off, our ancient ancestors evolved into different species, or hominins. If Bigfoot is indeed, a hominin, then we may have evolved from the exact same ancestor. This would mean that we may share very similar brain functions and even physical characteristics. However, perhaps Bigfoot is even closer than just a relative. Homo Sapiens were always believed to have evolved from a single area of Africa. However, the new fossil discovery has placed them all throughout Africa. Could one of these isolated groups have evolved into the species we know as Bigfoot? This theory may not be so farfetched. 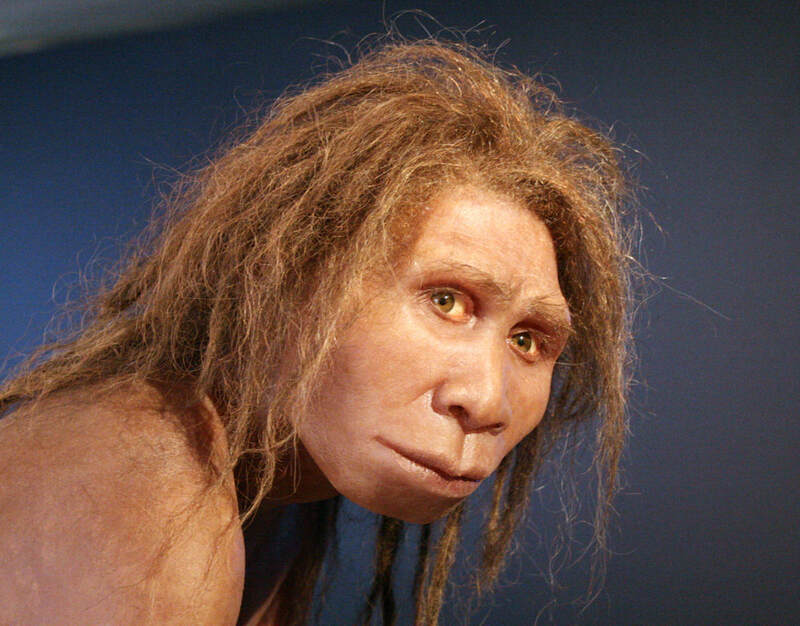 When Homo Erectus, the predecessor of Homo Sapien, appeared about 500,000 years ago, they had a body covered in thicker, denser, and longer hair than ours. If we are still discovering Homo Sapiens fossils today, then perhaps there are even older fossils waiting to be discovered. If this is the case, there may have been enough time for a small group of our species to evolve into what we know today as Bigfoot. According to phys.org, it takes about 1 million years for a species to completely evolve. However, this process can happen quicker under certain circumstances. As a species evolves, it needs to be isolated from its parent species. If a small group of Homo Sapiens crossed the land bridge and ended up in the U.S., their isolation from other Homo Sapiens may have been the driving factor that evolved them into a different species; one of which has adapted to its environment. In just 100 years, the English peppered moth adapted to its environment by changing color. Could this be a similar adaptation situation for Bigfoots, who have hair-covered bodies? Cliff Barackman, who grew up in in Long Beach, California, and now lives in Oregon, is one of the most accomplished Bigfoot researchers in the field. Because of his dedication to Bigfoot research, Cliff has appeared in various media outlets and has written extensively on the subject. His work has been featured in student reports, newspaper articles, video documentaries, and more. 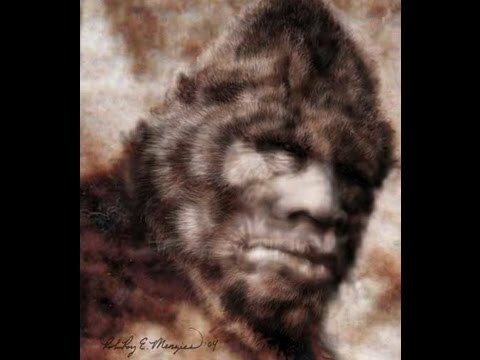 In 2007, Cliff appeared on History Channel’s “Monsterquest” in the episode entitled “Legend of the Hairy Beast,” which featured Cliff and James “Bobo” Fay investigating reports and visiting with Native tribes to gather historical information about the creature. Along with documentaries, he has appeared on many internet radio shows, and was a featured guest on “Coast to Coast with George Noory.” In Spring, 2010, Cliff was a guest in an episode of the A&E series, "Strange Days with Bob Saget", and is currently being featured in Animal Planet’s series, Finding Bigfoot, where he works with colleagues James “Bobo” Fay, Matt Moneymaker, and Ranae Holland. Cliff is not only a dedicated researcher, but a wonderful character as well. he agreed to answer some of your most asked questions about Bigfoot! Read below to find out if your question has been answered! 1.Bigfoot has been described as a bipedal ape-like man. Do you believe it could be a surviving hominid, or do you believe it to be an ancestor of Gigantopithecus? Cliff: "Sasquatches are definitely a surviving hominid, but all apes and humans are hominids, which means they are in the family Hominidae. The question would be if they are a surviving hominin, which is defined as being in the lineage or an offshoot of human beings. Hominins include Australopithecus all the way up to present day Homo sapiens sapiens, and all the offshoots thereof. This is most likely the case for sasquatches as well. At the same time, it is entirely possible that Gigantopithecines were also an offshoot of the Hominin lines. So little is known about them (though much is speculated), that it is impossible to say at this point." 2.What are some common behaviors that you’ve seen/heard in a Bigfoot report? Cliff: "Most of the time when a Bigfoot is encountered, besides the mere shock of the event, it is rather a dull affair. The Sasquatch typically either walks/runs away, or it watches the observer and then walks away. Some atypical reports would include intimidation displays, such as yelling, growling, throwing and breaking objects, stomping, or even bluff charges." 3.If Bigfoot is so large, how could it remain so elusive? Cliff: "They are large, but not significantly larger than a brown/grizzly bear. Many members of the species, if not most, are smaller, perhaps the size of a large black bear. These animals also largely stay out of sight. Sure, there are many reports of seeing bears, but there are probably at least 100 bears for every Bigfoot. The numbers are in favor of Bigfoots being rarely seen. When one adds to this that Sasquatches seem to be mostly nocturnal, very smart, hyper aware of their surroundings, and want nothing to do with us, it seems natural that they would rarely be seen." 4.Could you give me your best description of a Bigfoot’s features? Cliff: "In general, adult Sasquatches range from six to eight feet or so in height, and they probably weigh between 400 and 1,200 pounds. They are generally human-like in shape, but covered, with hair (except on parts of the face, the palms, and bottom of the feet) with wider shoulders, longer arms, and a lower-placed head that often seems to rest on the shoulders (they do have a neck, of course, but their muscles can often obscure this). The hair covering is dark, usually brown or black, with a reddish tinge when seen in the right lighting conditions. They are often described as having an overhanging brow ridge, and a head that slopes away from the forehead in a conical shape. Their noses are wide and broad, though not ape-like." 5.How many do you think there are? Cliff: "I guess that there are probably between 8,000 and 10,000 individuals in North America, give or take a few thousand. This sounds like a lot, but would make them one of the rarest large animals." 6.Based on your research of footprints, how does Bigfoot’s anatomy differ from humans or apes? Cliff: "The footprints indicate that the Sasquatch foot is proportionally wider than a human foot. It also seems to be flexible in the mid section of the foot, just like the feet of other apes. In other words, Bigfoots lack the rigid arch that the human foot has. The ankle is shifted forward on the foot, which is a biomechanical redesign of the human foot in order to accommodate their larger mass." 7.Have you come across many hair samples? What were the results of DNA testing? Cliff: "I've seen a couple purported hair samples, but the ones I've been directly involved with have not produced testable DNA." 8.If one were to come across a Bigfoot, what would your advice be? "About Cliff." CliffBarackman.com. N.p., n.d. Web. 15 May 2017.